Who has time for Valentine's Day when there are birthdays to celebrate? Come celebrate your February birthday and the birthdays of some of Stomping Ground's favorite local comedians! 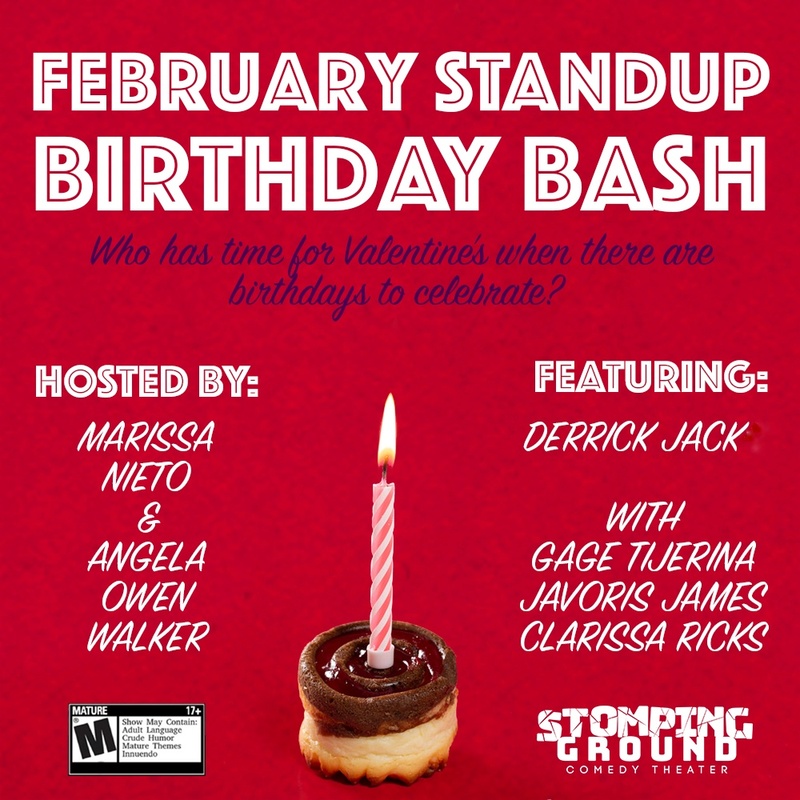 Hosted by Angela Owen Walker and Marissa Nieto, this Love Month bash features February babies Gage Tijerina, Javoris James, Clarissa Ricks, and Headliner Derrick Jacks!